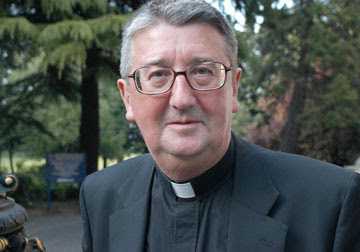 Concern about unacceptable behaviour in the financial world shows how "fundamentally immoral" individual acts can have a seriously destructive effect on the fabric of society, Archbishop of Dublin Dr Diarmuid Martin has said. Repudiating the argument that "a little bit of recession is good for the soul", Dr Martin also said the tragedy of the current crisis was that while those who did well in prosperous times would continue to live reasonably well, the poor would become poorer and the vulnerable would find themselves in a more precarious position. Speaking at Ash Wednesday Mass in UCD today, Dr Martin spoke of the destructive elements that coexist with people's individual goodness, and said the ambiguity between the two was transposed into the type of society we construct. "The current concern about the level of unacceptable behaviour in the financial world is just one example of how individual, personal behaviour which is fundamentally immoral can then lead to an interaction in which the behaviour of wider sectors of society become destructive," he said. If not discovered and tackled in time, this could lead to a "seriously destructive effect" on the fabric of society. Dr Martin insisted it would be facile to say the current economic crisis provided an opportunity for the Church. "I do not like the 'a little bit of recession is good for the soul' argument," he said. "The tragic thing is that those who lived well in times of prosperity will live reasonably well in times of recession and those who were poor or in a position of precariousness will pay the terrible price of becoming poorer or finding themselves in an even more precarious situation." Dr Martin suggested that the destructive elements in society and the economy were the fruits of "false paths" taken by individuals, and these in turn helped create what Pope John Paul called "structures of sin", which took on a life of their own. He spoke of the need for a "counter-cultural" rejection of classic symbols of power and prosperity said Lent provided an opportunity for people to examine the values that governed their lives as well as those values they wished to see in tomorrow's world. "There is no doubt that those values will be counter-cultural and to be counter-cultural requires integrity and courage," he continued. "But the opposite to being counter-cultural is being conformist, and being conformist can quickly lead to being complacent and loosing the sharpness and critical sense which should come from our faith."